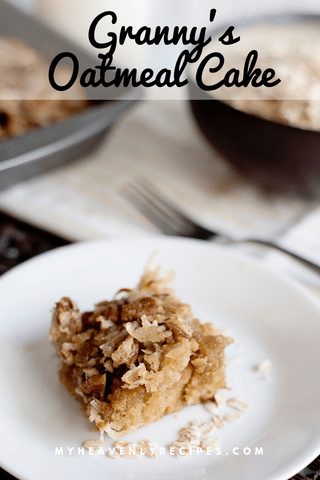 If I could make just one dessert this holiday season, it might just be Granny’s Oatmeal Cake with Pecan Frosting. It’s that good! 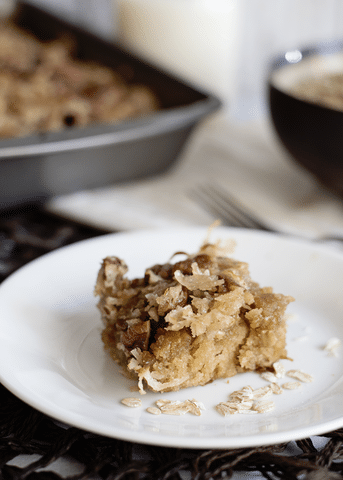 Yep, this is one of those desserts that you can make and it will disappear within minutes of putting it out on the table. 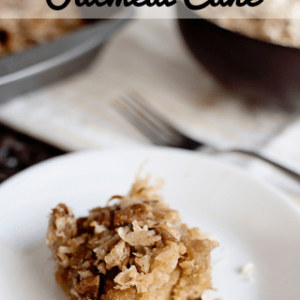 Granny’s Oatmeal Cake With Pecan Frosting is a delicious dessert for your holiday party or any party for that matter. I have been known to make it for just my immediate family too. Any night is a good night for this decadent dessert. It tastes just like the delicious desserts that Grandma used to make! 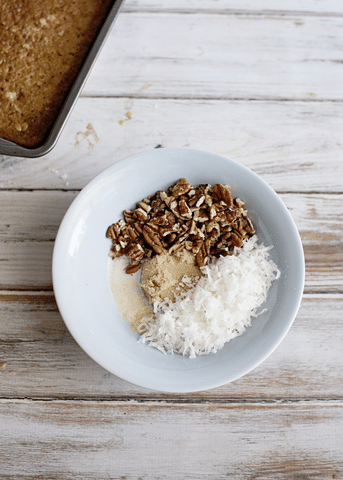 Not to worry though, Granny’s Oatmeal Cake with Pecan Frosting doesn’t taste just like oatmeal. 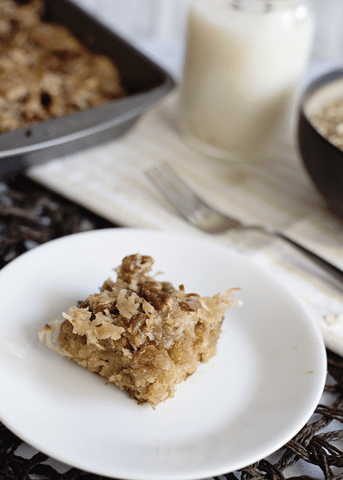 I know that we occasionally find people who aren’t fans of oatmeal, but while you do use oatmeal in the cake, that’s only one of the delicious ingredients of this cake. 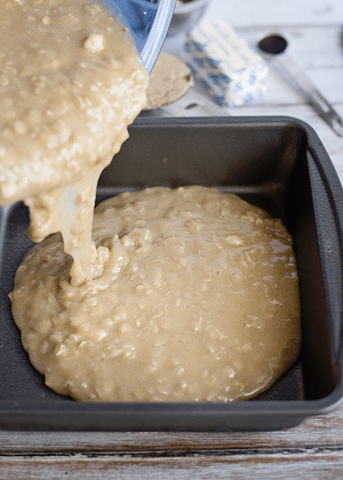 If you are a fan of pecan desserts, you are going to fall in love with Granny’s Oatmeal Cake with Pecan Frosting. 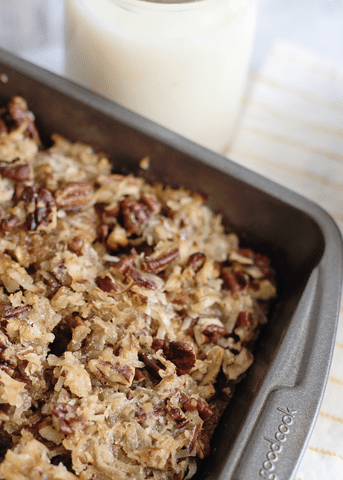 Many of the things that you love about the rich flavor of pecan pie, can be experienced here with some slight differences. You are going to be quite pleased with this one! It’s a decadent dessert, perfect for any occasion. Great for holiday parties and dinner parties alike, it’s also a hit at potlucks! You can simply omit the coconuts if you prefer it without. 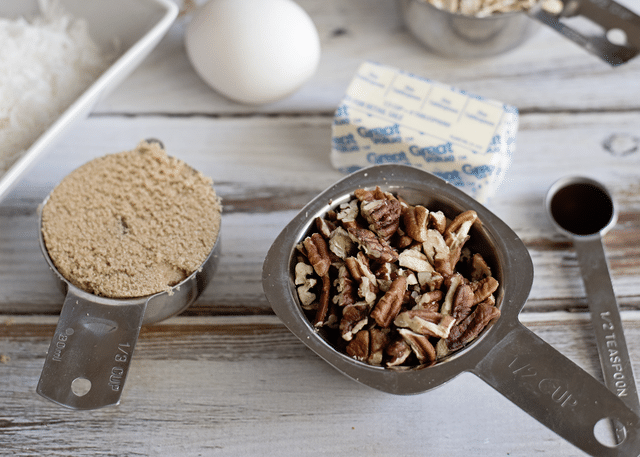 If pecans aren’t your thing, you can swap the frosting for this yummy Cream Cheese Frosting or a caramel icing tastes great too. 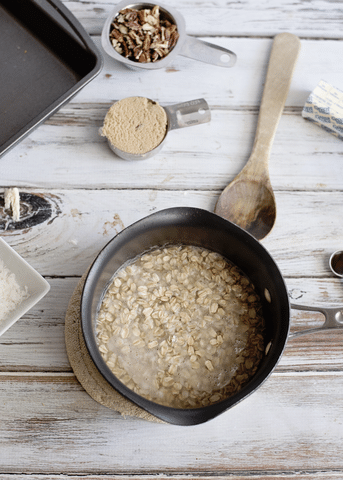 Be sure to cook the oatmeal thoroughly so that it is the consistency before you add it to the cake mixture. When you put the cake under the broiler, be sure to keep to the 2 minute time limit. You want the coconut toasted, you don’t want the cake burned. Preheat oven to 350 degrees. 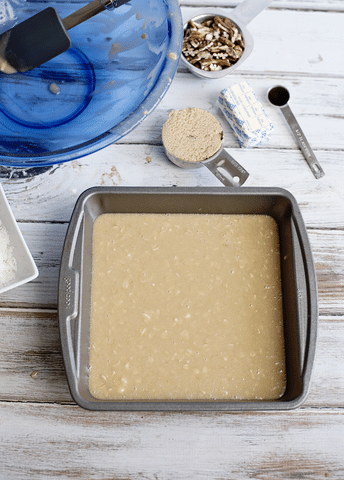 Prepare an 8×8 pan with baking spray. Cream the butter in a medium sized bowl. 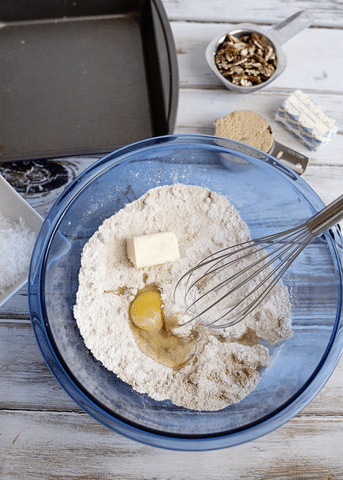 Mix in the remaining ingredients. 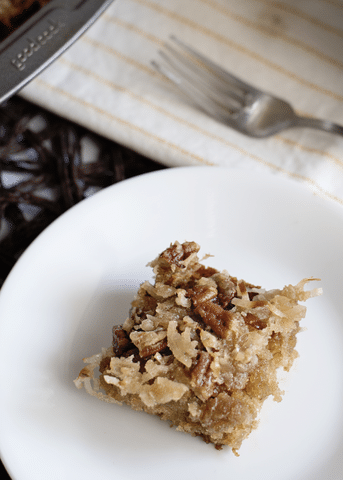 If I could make just one dessert this holiday season, it might just be Granny’s Oatmeal Cake with Pecan Frosting. It’s that good! Start by boiling the water. 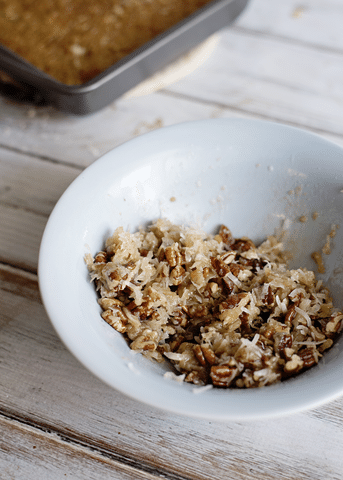 In a medium sized bowl, combine the oats and water together. Cover with wrap or foil and set aside. 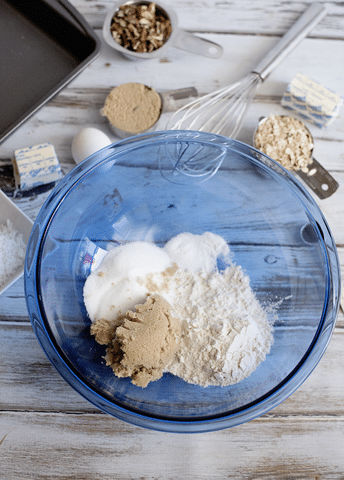 In a large bowl, combine the sugar, brown sugar, flour, salt, baking soda, egg and butter. Stir in the oatmeal. So good! This will be a staple at my house!! Thank you!